Join plantsman and professor Dr. John Frett as he leads a walk and talk through the gardens of some of the plants offered in the plant sale, and if there’s time, take a peek at the containerized plants. LOCATION: Meet inside brick wall around South Greenhouse, outside UDBG office. Min: 10 people; Max: 25 people. Registration is required for this event to ensure a spot; please email botanicgardens@udel.edu or phone 302-831-2531. 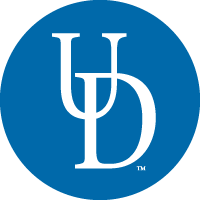 Send payment to: UDBG, 152 Townsend Hall, University of DE, Newark DE 19716. To register and pay via credit card using our online form, click here. All events are held in Townsend Hall Commons unless otherwise noted. Prepayment only required where stated. Cancellation Policy: UDBG reserves the right to cancel any program if necessary. Refunds take approximately three to four weeks to process. There will be no refunds after a class or series begins. Payment will be refunded if cancellation is made 10 business days prior to class.